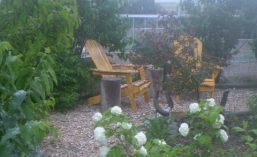 Garden & Landscape Consults: Meeting with clients to experience their gardens, yards, landscape, acreage, ideas and challenges is always a great experience for me. One hour consults generally turn into one and a half hour. Now is the time to walk through the future of your landscape: a place to meditate, a place to play, a place to entertain, flowers, food, organic resources, butterflies / bees / birds. I am available to meet with you Tuesday through Saturday, from 10:00 a.m. to 6:00 p.m. The fee for a one hour consult is $50.00; one hour consult plus a written brief of our meeting is $75.00. Text or call 307.262.8043; email tarafarmandnursery@gmail.com; or send a message here or from the Facebook page. I am excited to get outside with you and discover spring. Let’s take a walk.